When it comes to travelling there are so many things that can go wrong, even on a relatively short journey. It can (and will) get worse the moment you step on a London Bus. That's not to say that public transport it a bad thing – in fact it is usually the best way to get around, cheaper too as there is no need to worry about parking, but there are some flaws which need to be contended with. 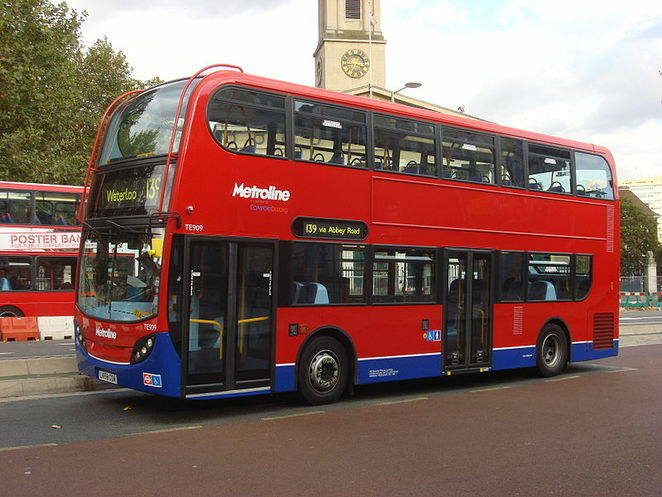 Here are some ways to survive a London Bus in particular. 1. This one should go first just because it is all about actually getting on the bus. Even if you have an Oyster card, keep enough change on to cover the fair. It's not easy to keep track of the funds on an Oyster Card. Other passengers will be extremely frustrated if you hold them up but they will want your blood if you try to get out of paying; we're all seen someone throw a hissy fit or try to convince drivers that they lost their card/don't have the fair but will pay next time. Usually these culprits are young hoodie wearing spawn and their aggression and acting out just makes them look like fools. No one enjoys it more when they get kicked off or denied than the passengers on the bus already. 2. In a similar way beware of children, not the young people hanging out at the back of the buses. Mothers of small children will use you as a child-rest and prop the young ones against you. Trust me, it's happened multiple times and the kid looks just as freaked out as you do. Another thing is that you do have to vacate the pram space (and wheelchair space) if they are needed; no, looking at your feet and pretending you don't see the massive pram or wheelchair won't get you out of it. Move. 3. Being aware of other people is a huge deal on public transport, especially buses. Show common courtesy and know the rules of the bus. Elder seats are at the front so if you sit there, be ready to offer up your seat. Disabled spaces are clearly marked and there for a reason, even simple stuff like not putting bags on seats or taking up more than one seat in general helps everyone out. You've just got to give up your illusions of personal space when you get on. Seriously, you'll survive the journey if you do. 4. Watch where you step and sit! Buses aren't that bad but like all public transport they run a risk and are literally mobile toilets when it comes to germs. Not everyone washes their hands and those poles and seats are only disinfected when they have "deep cleans" so be hygienic and wash your own hands ASAP once you've got off. 5. Don't rely on your headphones to keep you safe from conversation. The crazy will talk to you regardless. 6. When it comes to music; don't play music out loud either. No one likes your crappy music, nor does anyone want to hear your conversations as you shout down the phone to be heard over traffic, engine noise and other passengers. 7. Like all things, shopping centres, trains, even stadiums; buses will get busy. You will have to stand at some point or another and will also be packed in like sardines. This is part of the peak time/rush hour experience. Don't complain. Everyone else is suffering with you. The best piece of advice that could ever be offered to someone wanting to survive the worse of a London bus is really this though: don't get angry. There just isn't any point. Consider this; the bus driver might be new, you might just be travelling at peak time, that person might just have a lot of bags and no foot space, no one can change the traffic, there might have even been an accident. There is always a reason for a delay or a person's behaviour and sometimes they are just being inconsiderate but there isn't much you can do about that, short of not being that person yourself. Everyone is suffering just as much as you, so to survive just grin and bear it and you'll survive it.